There are loads of tools out there to help book lovers find books that are perfect for their tastes. Wattpad is one of the most solid alternatives, with more than 10 million volumes in its catalogue, offering both free and paid editions. It can also turn your device into a proper e-book. 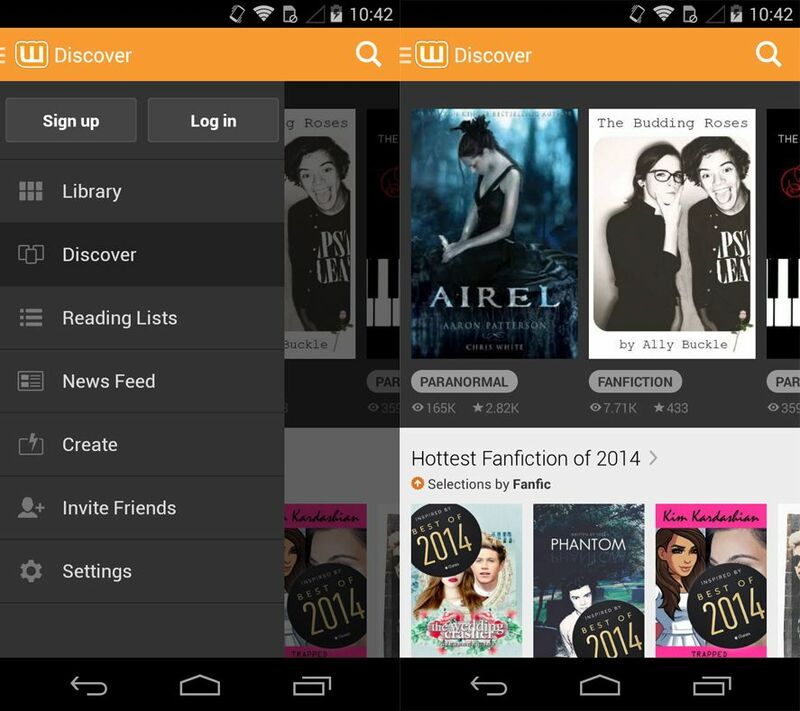 Wattpad, which has a very cozy and appealing interface, has all the basic features a good tool of its ilk should have: it lets you download millions of titles and adapts them to the screen so you can read them comfortably. 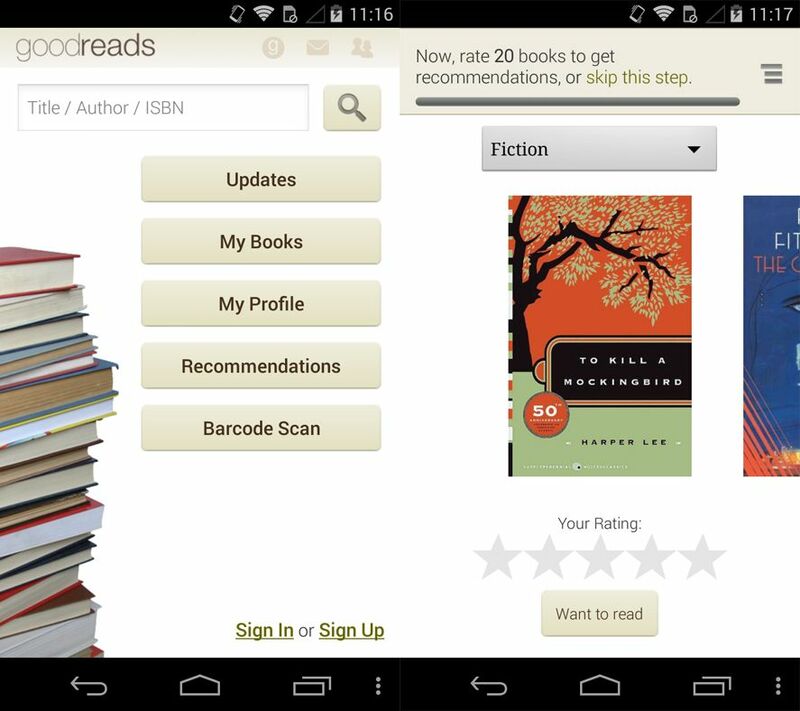 You can download any book directly from its catalogue, which will let you read it without an Internet connection and open it later right from your library. The option to sync your progress across all your devices will make it easy to pick up where you left off in your book. As you’ll see once you start using the app, the title you’re reading will be visible to other users so you can make friends with people who have similar tastes to you. Thousands of people are sharing and looking for others with common interests across dozens of different genres. Its reader, on the other hand, is specially designed so you don’t need a second app to open your downloads. From it you can change the text size, screen brightness, position of the pages…. Nothing should keep you from enjoying a good book. From here you can do everything from adding chapters to the story to participating in comment threads with other users or sharing the story with friends so they can download and read it along with you. 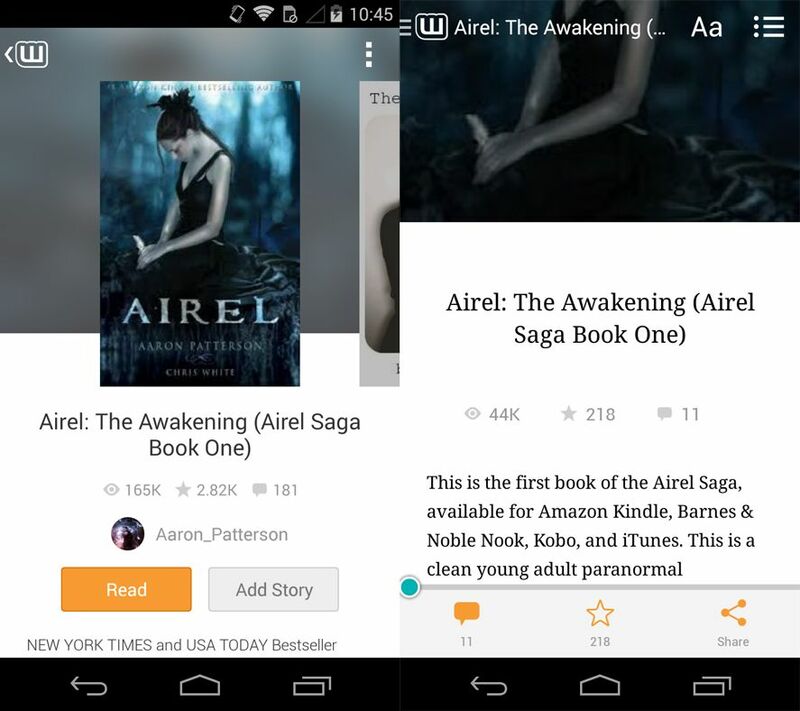 Wattpad is, in short, a great tool not just for reading the classics and new releases, but also for making new friends. If you’re a proper bookworm you probably already know about Goodreads, a social network where you can review or share your progress on the latest books you’ve been reading. With its very elaborate search tool, you can find new recommendations and create your own lists of books that interest you, all while following the live progress and reviews (thanks to its custom notifications) from your friends on whatever they’re reading. As with Wattpad, Goodreads offers the option to make your own wish lists while you enjoy the recommendations of people with similar tastes to yours. Nevertheless, this app mostly stands out for the ability to share the exact page number you’re on for whatever you’re reading. If you want to be part of a community of millions of users who love books as much as you do, Wattpad and Goodreads are the two best options out there for getting stuck in with any literary genre you can possibly imagine.